I’m a Pisces, born in Brooklyn, raised in Queens. Neither of my neighborhoods was exactly on the beach, but it was close enough that I get a strong craving for the sea. According to Google maps, Myrtle Beach, SC , is a mere fifteen hours from St. Louis. Since I’ve already driven to Phoenix and back in seventy-two hours, fifteen hours one way should be a snap. When we set out from St. Louis, a dense fog covered the region, making driving challenging. But we got there and had two days of sunshine, warm temperatures, and the ocean. 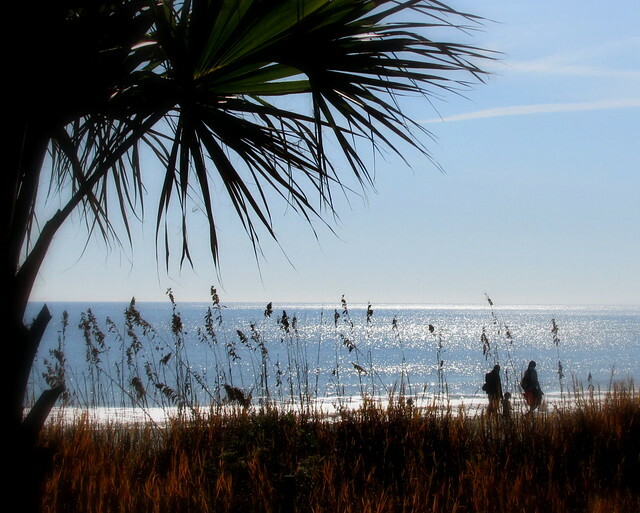 Myrtle Beach is a vacation spot, even in November for Thanksgiving. Hotels and motels are between seasons (some are closed), the beach is close to empty, but there is still enough to do to keep you busy. The beaches are clean, and there are several piers where you can rent rods and tackle and fish. Sometimes you’ll see porpoises and dolphins just off-shore too. There are, of course, seagulls, but we saw pelicans close up on the piers — they’ve gotten accustomed to fishermen tossing them fish-goodies. and pancakes seem to be a favorite cuisine — we saw at least a dozen pancake houses. For me, there is something basic and calming about listening to the sea — the rhythmic non-rhythm of the waves breaking over themselves. This trip, while stressful in places – like driving through the mountains of North Carolina and Tennessee – was another battery recharge for me. Now I can’t wait until the next road trip. PS- on the drive to Myrtle Beach, my GPS routed us through Atlanta (don’t ask me why). While we did see the Eye of Sauron, we did not see any walkers. Thank you for doing so. I love the opening photo! Sounds like a wonderful trip. I haven’t been there since 2005 but would love to go again someday.